A book is a kind of universe from where we withdraw inspiration, motivation, empathise or become one with the characters of the story and experience the rare sort of an euphoria that even materialistic things cannot bring. Like good, old and loyal friends, books come to rescue each time you are put into trouble to offer the gems of wisdom locked in words. They are also like time-machine that takes us to meet the legends of the past and their captivating history. Maybe that's why, there's no other better mentor than books; no bigger inspiration than books. Now, with Amit Book Depot online books store, buying books have become really easy with multitude of genres present at one place. 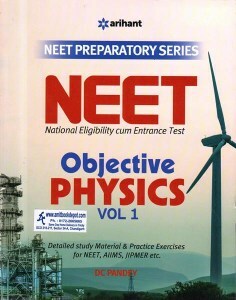 Online Bookstore India – Amit Book Depot is the most affordable online bookstore in Chandigarh with large collection of books of almost all categories like Fictions, Non-Fictions, Reference, Biographies, Memoirs, JobbHunting & Careers, Religious, Spirituality, Health, Yoga, Competitive Exams, Children's, Cooking, Travel and hospitality books etc.We also have a big collection of Medical, Engineering, Computer's, Science and Management books to cater the syllabus of many universities, colleges, and schools in India. Our special discount on each and every title makes a preferred online book store in Chandigarh. Our Team of experts assess every book's quality and list trending rare books too. We sell books with 100% recycled packaging in tri-city (Chandigarh, Mohali and Panchkula) area. Here, you can search your prefer books to ensure exact edition, or you can search by author, title as well as publication. Our Online book shopping site is user-friendly and anyone can buy books online with ease. We are among tri-city’s best Online Bookstores and considered as “ best online books shopping India ”. We offer huge discounts on every online book buying as compared to other book’s shopping sites in India. If you are looking for online shopping of books, you will find most competitive prices at Amit Book Depot bookstore. Convenience of our readers, is counted as a priority for Amit Book Depot online bookstore. We know, you opt to buy books online, because of the easy accessibility that it offers. To retain your trust and bond, we serve you with the assortment of online books – that matches your needs, requirements and budget. We want you to be completely satisfied with everything you purchase from us. If for any reason, you are not happy with the merchandise you buy books online from us, you can return it to us unused in "as a purchased" condition within 20 days from the date of invoice.